Research Station in Ketambe in the middle of the forest. Ketambe Research Station is the first orangutan research station in the world and was built by Dr. Herman D. Rikjsen, a Dutch researcher, in 1971. It is estimated that no less than 300 studies have been conducted at this station on a wide variety of species of fauna and flora. Unfortunately in 2011, the station was closed due to conflict over management between Aceh and central government and ended in the burning of the station by criminals. 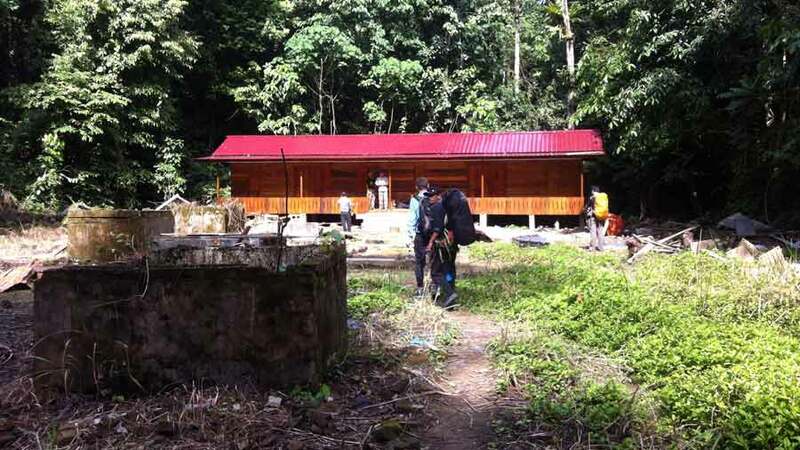 After a lengthy process of relationship building by the Leuser Conservation Forum with Aceh forestry and the national park authority, there is hope once more for reactivating this research station. Rebuilding has now started by the Leuser Conservation Forum with HAkA’s support and will be completed in the coming months. In 2015 the research station will be opened to receive national and international researchers once more and to serve as a hub of education to promote passion for nature protection among the Indonesian youth who will inherit the Leuser Ecosytem in the next generation.